Aviation professionals, from pilots to cabin crew and air traffic controllers, have a responsibility for thousands of lives throughout their careers. 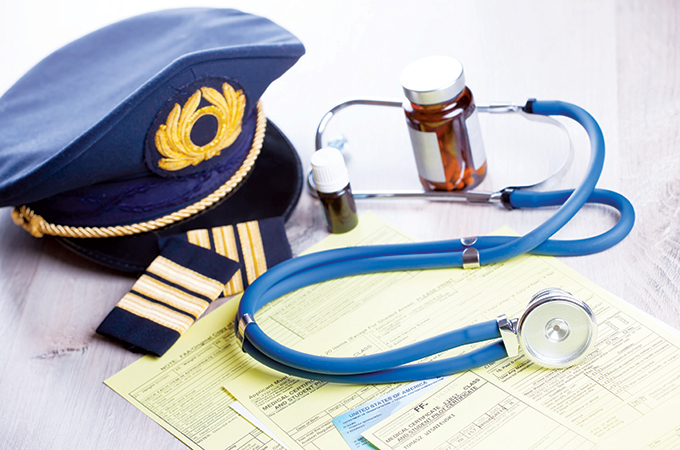 For a market which boasts two of the largest international airlines in the world, the UAE counts a high number of employees who require a valid medical certificate while flying. Firstly, the expected outcome for a physical examination is that the medical certificate will be issued, so long as the professional meets all the standards. A second possibility is that the aviation medical examiner (AME) issues a denial letter revoking current medical privileges. If the professional is able to present documentation confirming that the disqualifying medical condition has been resolved or is being controlled in a safe manner, a medical certificate may be reissued. As when taking a driving test, individuals who use glasses, contact lenses or hearing aids should bring them along to the examination which allows the examiner to authorise flying with a limitation on the medical certificate needed to pass the exam. Aviation medical examiners are highly knowledgeable and often have many years of experience as medical professionals. Most questions, particularly if this is the first medical examination a patient has experienced, can be answered competently and simply during a brief consultation.